Warning: this post is bitchy. Eagle Point. What an adventure; and by adventure, I mean the unexpected. 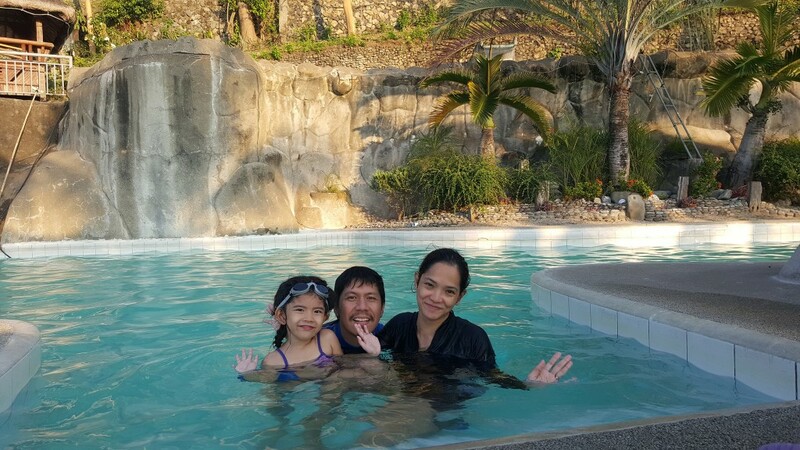 Being that our summer schedule is, on average, booked 365 days in advance (thanks to my wife), we had to find a quick getaway for the holy week with less than a week to go, just so we don’t get bored out of our minds repenting (our house). The criteria: ocean, hotel, within 200 kilometers, cheap. 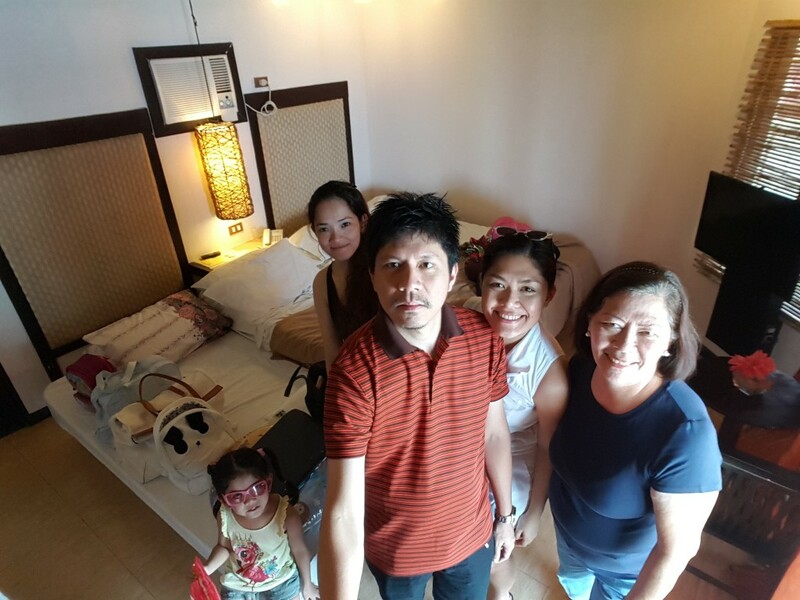 We found two resorts: one in Subic, one in Batangas. Needless to say, choosing the latter was something we never deemed so regrettable, especially within only five minutes of arriving at the place. 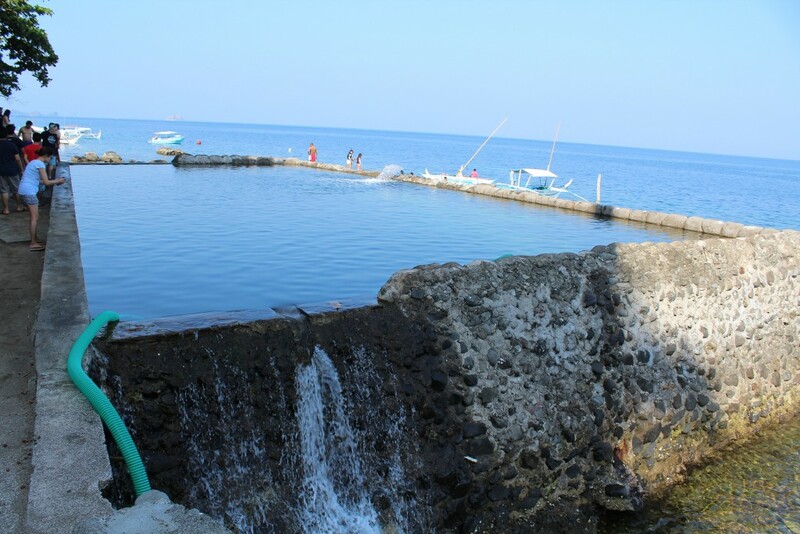 The resort is very easy to get to (Anilao in general, actually). With SLEX-Sucat as kilometer 0, it’s only about 120 kilometers away—70% of which will be spent driving pedal-to-the-metal at the now-connected SLEX and Star Tollway. All traffic aside, that’s an hour and forty-five minutes tops. Once you finally make that right going towards the resort, you’ll be greeted by a sign that says: “Your adventure starts here.” Take a minute to digest every word of that sentence for nothing can be further from the literal truth. Remember all that mountain climbing you did on step 11 above? You will now reverse that until you reach sea level once again, but this time in a hellishly steep descent that spans maybe 2 kilometers. So, that’s 15 kilometers going up compressed to 2 kilometers going down. All this on a one-lane road that can give even the most seasoned off-roader a run for his money. Incoming traffic? Forget about it. One tire slip and you’re dead. Okay, if you make it alive (hopefully), you’ll finally reach the parking area. Take note: parking area. So, where’s the resort? As it turns out, the journey is just not over yet. You’re still going to have to ride their shuttle and go on an even steeper descent that only local drivers familiar with the terrain can handle. I guess they really need to do this to prevent accidents and to avoid being sued. 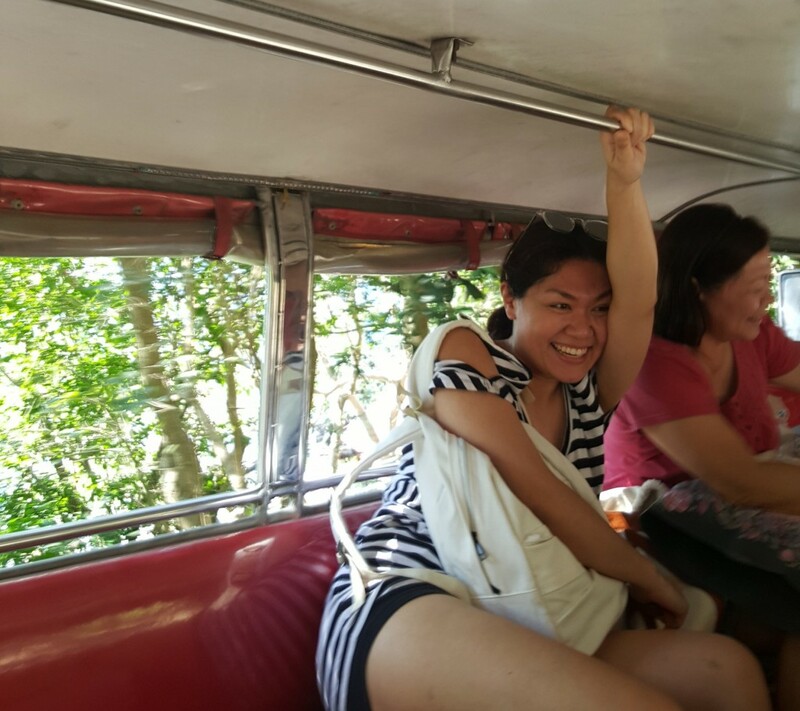 By the way, by shuttle I mean pampasaherong jeep. This is where you’ll be literally holding on to dear life while preventing your stuff from falling off. Fun. Adventure indeed. My sister holding on to dear life. Said corkage fee sign at the parking area. Anyway—and here’s probably the only thing good that I’ll say about them—they let the corkage rule slip. Welcome drinks are, well, welcoming. Check-in area. Wait, what’s their favorite word? Well, you’re gonna have to read up until the end of this post. But first, I’ll give my thoughts on the resort itself. Front-right facade. Cottages go up until the end. The first thing that both me and my wife thought of when we set foot on the resort was that it reminded us a lot about Pearl Farm. Yes, Pearl Farm in Davao. Yes, we’ve been there. Yes, yung 14.5k/night (yabang mo, gago). Now, that’s saying a whole, whole lot. Don’t get me wrong, it’s no Pearl Farm (labo), but the layout is almost entirely the same—by the mountain, cottages facing the open sea, long walk to the cottage, swimming pools at both ends. Now, make Pearl Farm much older (weathered) and bump the baduy factor up by 10 and you get Eagle Point. You won’t see such things in Pearl Farm. Sayang, sana blue. Here’s another thing you need to know about the resort: there’s no beach. 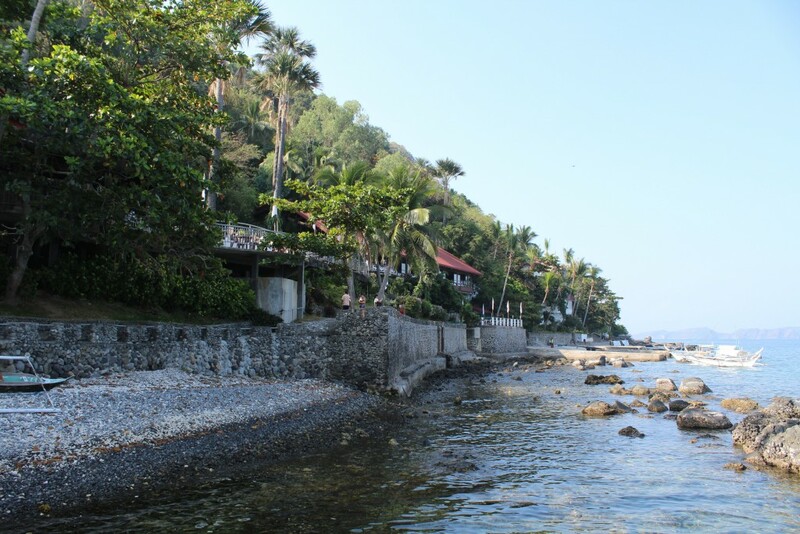 Although that’s typical of Anilao resorts, I still feel it’s worth stressing. What you get when you reach the land-sea divide are rocks of all sizes, and depths that are snorkeling-ready in just a couple of meters. 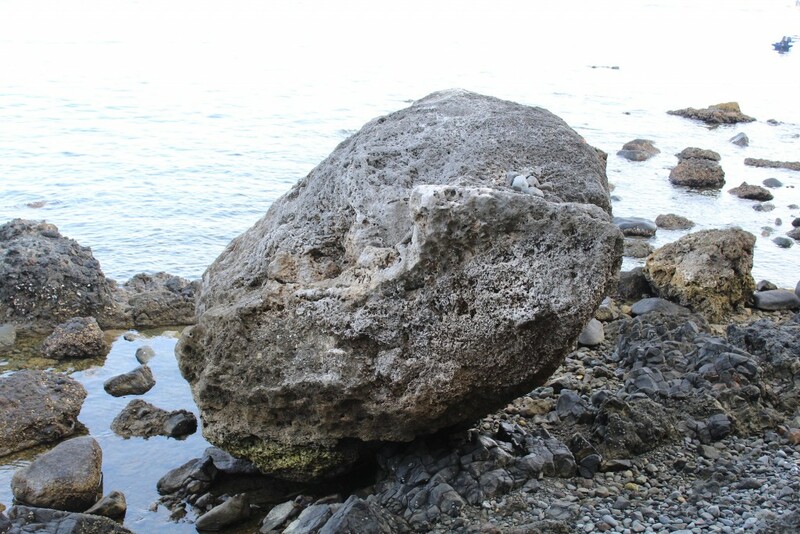 Like I said, rocks of all sizes. 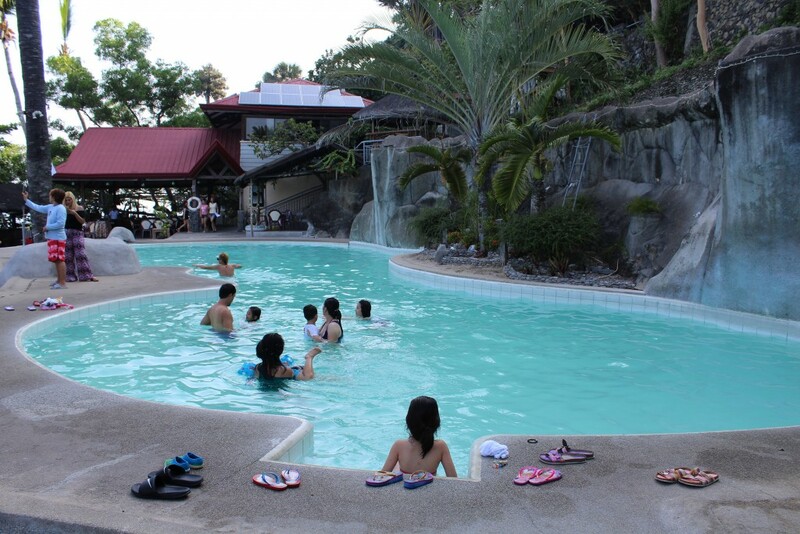 There are 3 swimming pools within the resort. A multi-level kiddie/adult pool with a slide, and another adult pool at the far end of the resort. There is also a saltwater diving pool of some sort, with actual baby sharks in it. True story. You can swim in it, but I think its main purpose is for newbie divers to practice in on before going open sea. What we didn’t like about the pools? They’re green. Having lived in houses with pools for most of my life, green water only means one thing: lumot. A clean, untreated pool will start blue, they slowly turn green after all the swimming action. Just make it blue. It will make such a difference. 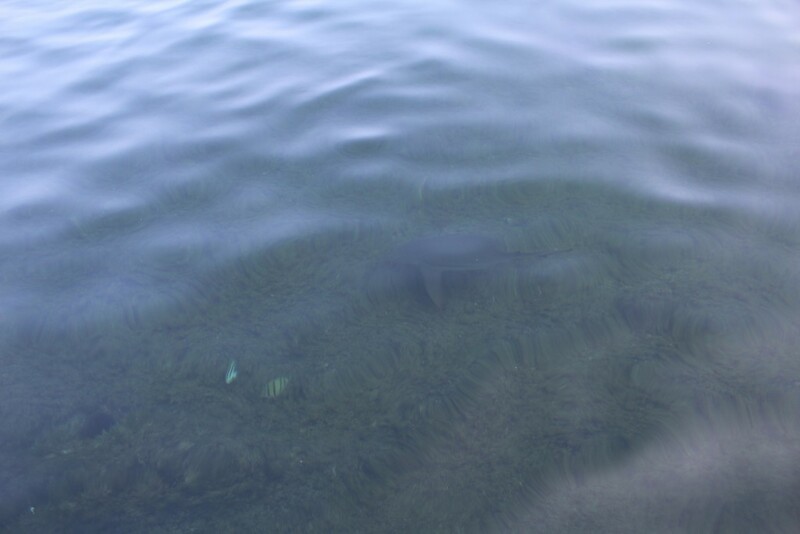 I wasn’t lying about the baby sharks. The rooms are okay. I can only speak for the double that we got. It’s a separated, 2-unit cottage with a balcony each. This means you’ll be making friends with your neighbor should you go to the balconies simultaneously. It’s quite spacious and we were able to fit 2 extra single beds with room to spare. There’s a mini ref, a safe, standard 32-inch (or bigger, not sure) TV, the works. Bathroom is okay in size, but water pressure is weak. Aircon is small for the size of the room. I didn’t go full blogger mode so this is the only photo I have showing the room. What else? 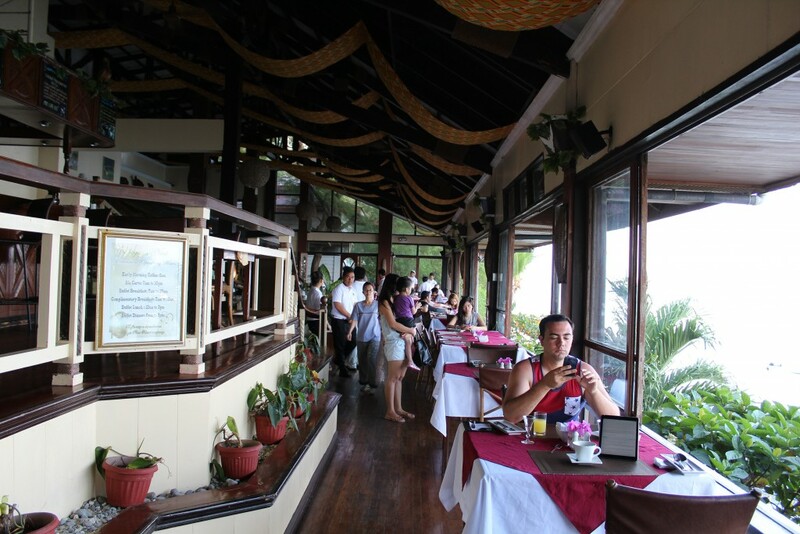 There’s a restaurant with a nice view (called Eagle’s Nest, I believe) that we only got to try during breakfast—because of our baon. The buffet breakfast is okay for the price (the selection). Eagle’s Nest Restaurant with gay foreigner man. Staff are courteous and will greet you every chance they get. That’s something. By the way, being that it’s called Eagle Point, there are actual eagles in captivity (cages) inside. From the moment we set foot there, I swear to Judas. Okay, so there’s the corkage (which they let go, and we greatly appreciate it), then there’s the additional charge for extra persons which is PHP 1,000 per head per night (with breakfast, at least), so you better book a room that is one-is-to-one to your group. 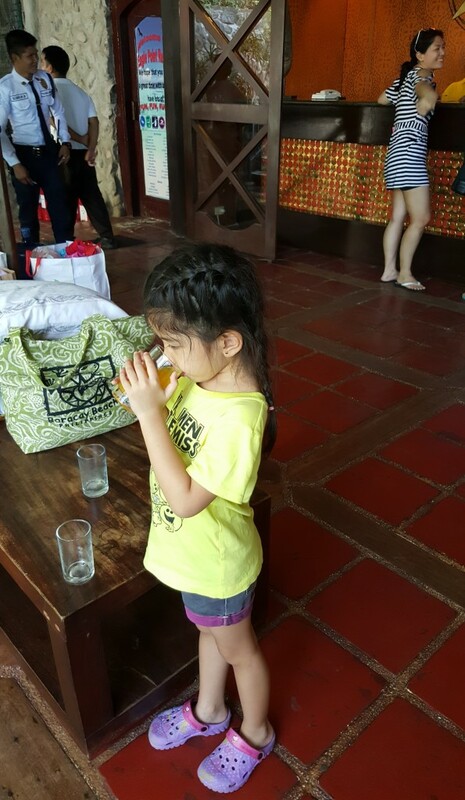 When we finally got to the room, we were exhausted from the heat so naturally, we needed cold drinks. 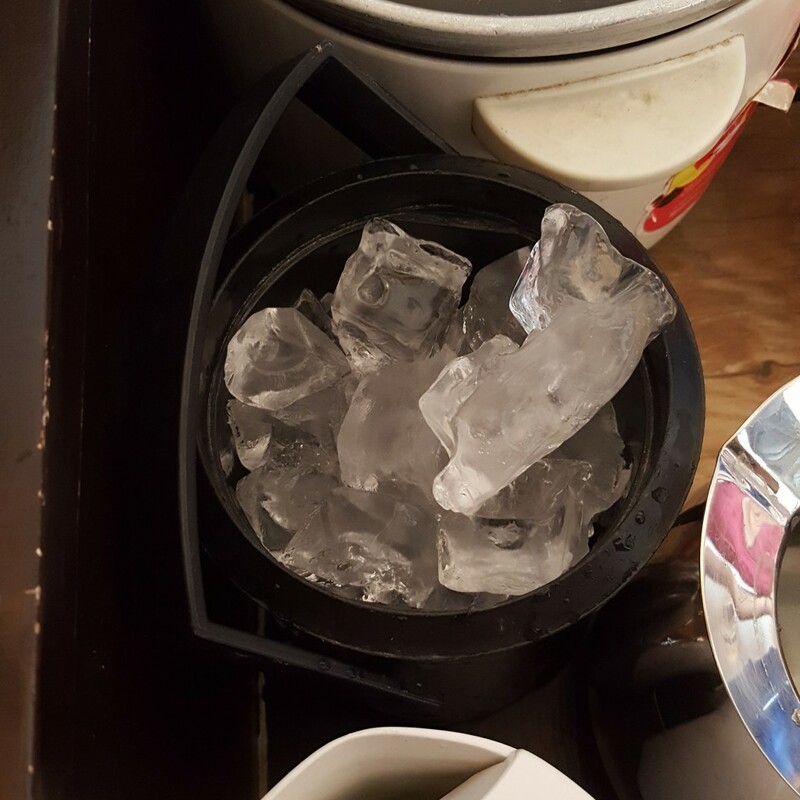 We didn’t have ice—not that we forgot about it, mind you (don’t underestimate my mom)—so we had to order from the front desk. Guess what? May extra. PHP 20 + 10% tax! Sa sobrang asar. We all took a picture of it. WiFi? No problem. PHP 168 lang per night, PER USER. During checkout, my sister wanted to charge the butal via card just so she won’t have any change (barya). Guess what? Because she wanted to charge an amount that is below their minimum charge amount, may EXTRA. 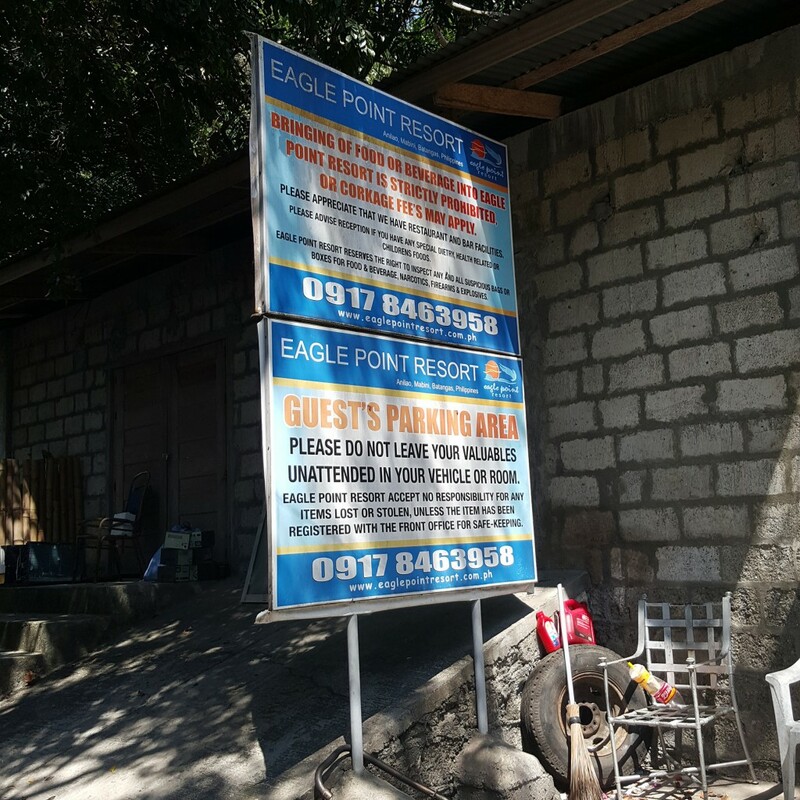 Mura ang per night sa Eagle Point. (By the way, there’s a day trip option of PHP 500 per head.) We paid around 3.5k/night for a double room (not really sure if it’s a “double” cause the bed sure looks like a king). Nasira lang naman kasi 4 adults kami so we ended up paying +2,000. Besides, nahiya naman ako kasi may nag-comment sa post ko sa Microtel—kung maka reklamo daw ako, 3.5k/per night lang naman pala binayaran. Also, Eagle Point Resort is a dive resort. After all, Anilao is the diving capital of the…I don’t know. They have their own island if you want white-sand beach, but you have to pay extra. Finally, here’s another reason why we disliked this resort so much. 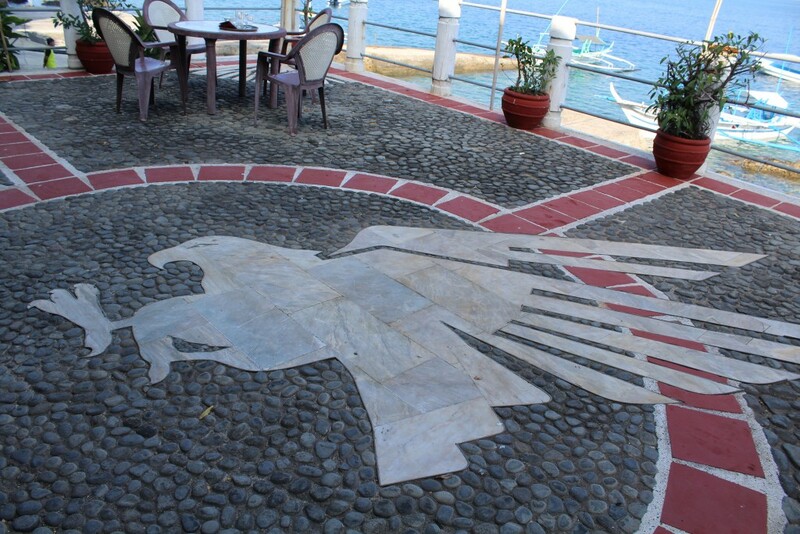 Last year we were also in Anilao. 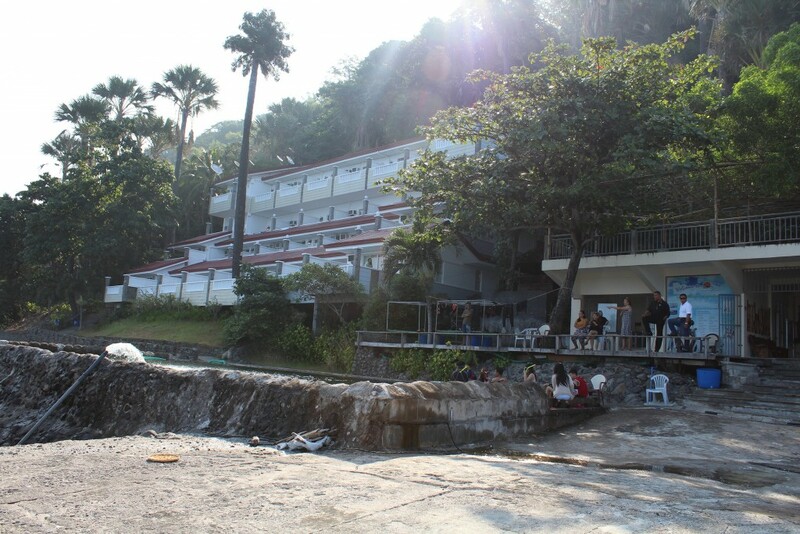 We went to a resort called Sea’s Spring. It’s a little bit farther but it’s basically in the same vicinity as Eagle Point. Same price, bigger, roomier place; bigger, better pools. 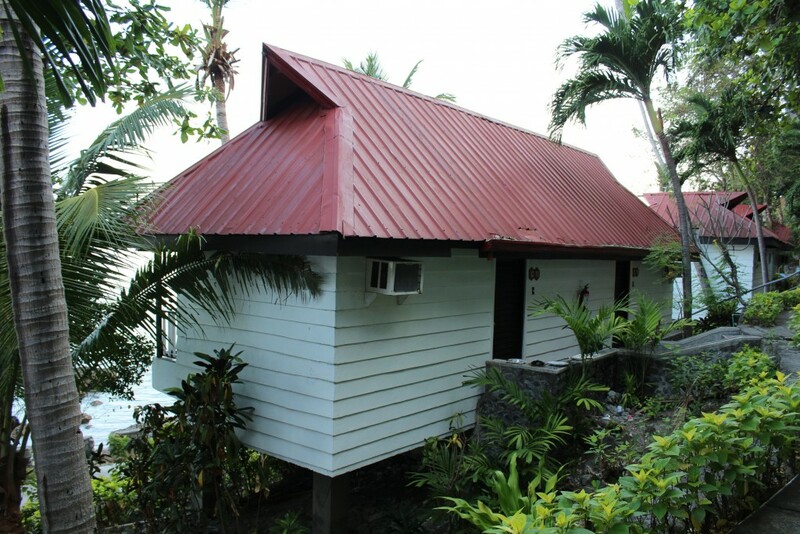 It has a really, really hot hot spring; there’s no corkage, no stupid extra charges. All in all, so much better. Had we not gone there, we’d probably be quite okay with Eagle Point. Thanks for reading! Until the next time! P.S. Bitin ka pa? Check mo yung photo blog ko kung saan mas maraming litrato at kwento!